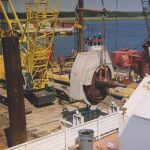 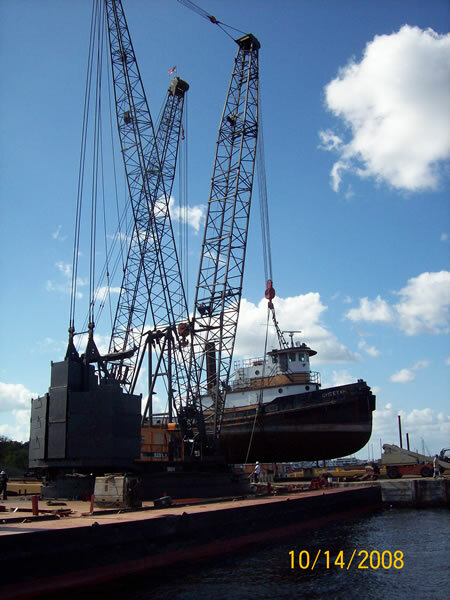 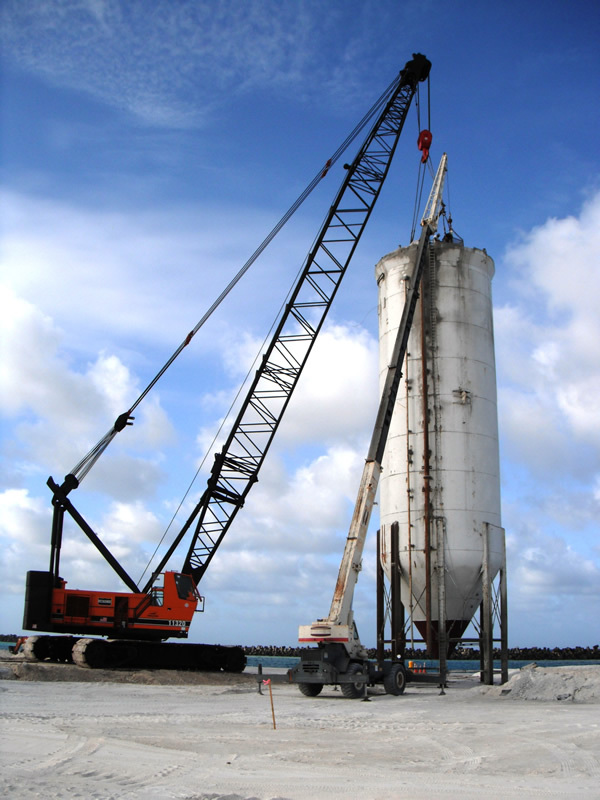 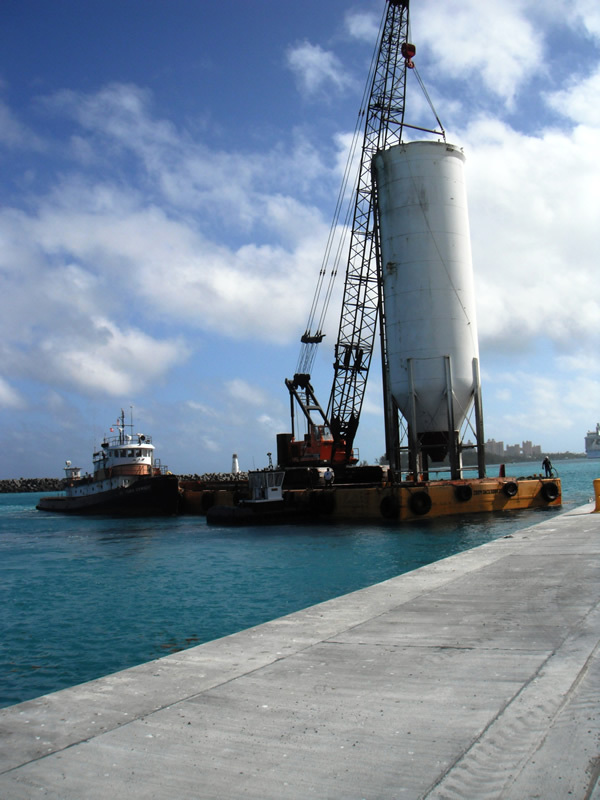 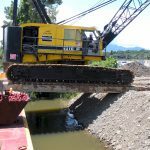 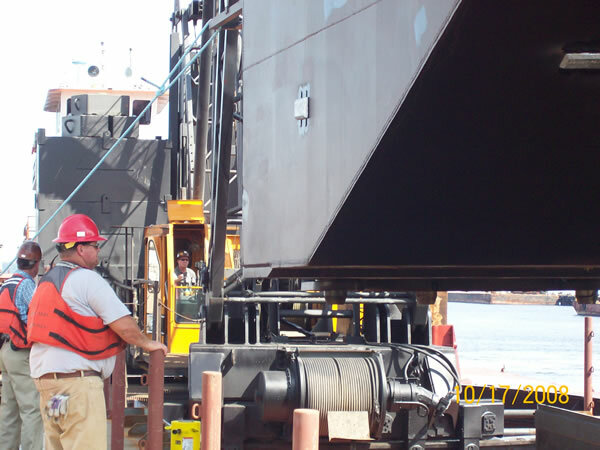 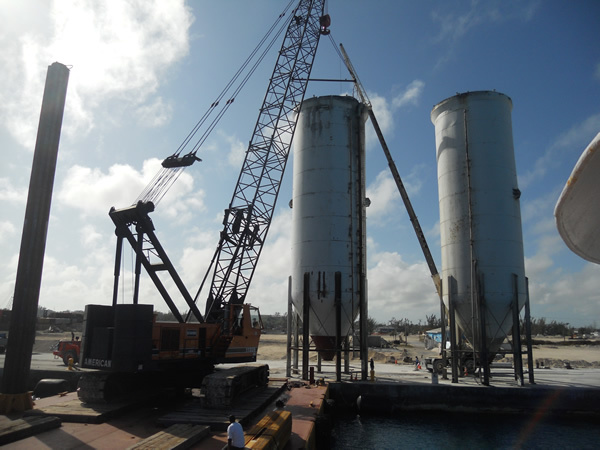 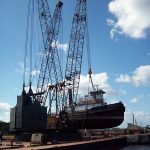 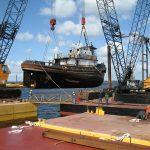 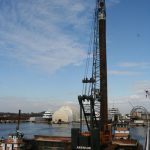 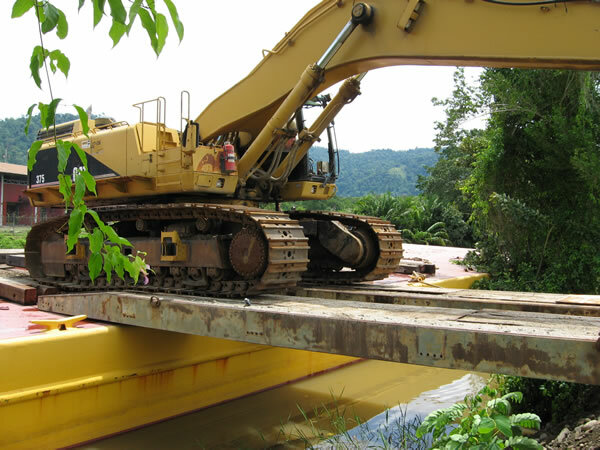 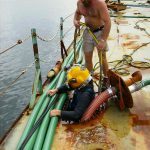 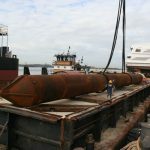 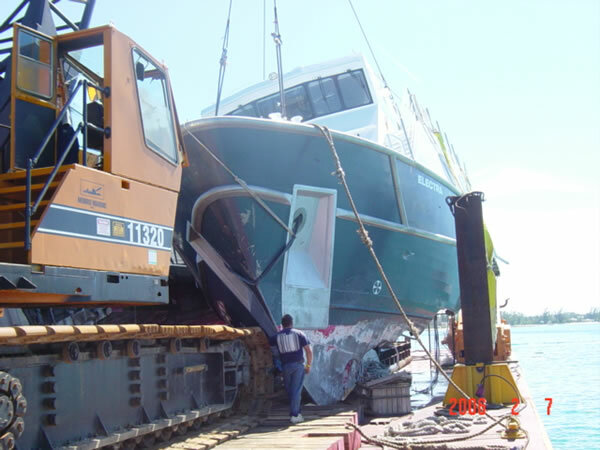 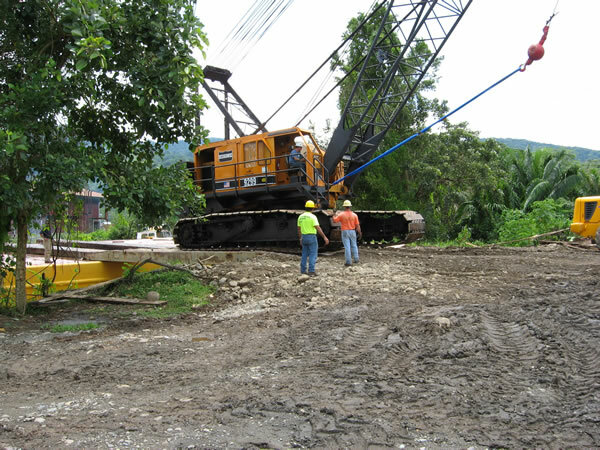 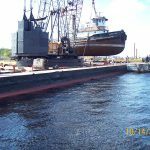 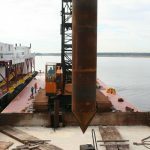 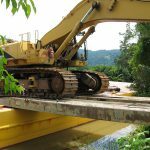 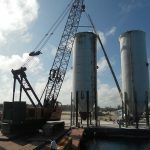 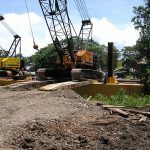 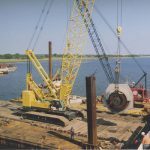 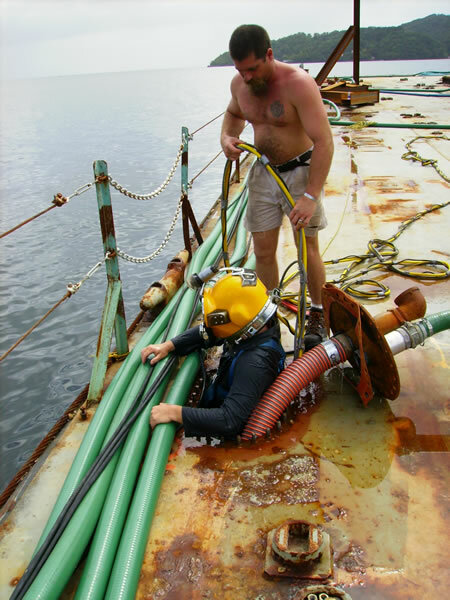 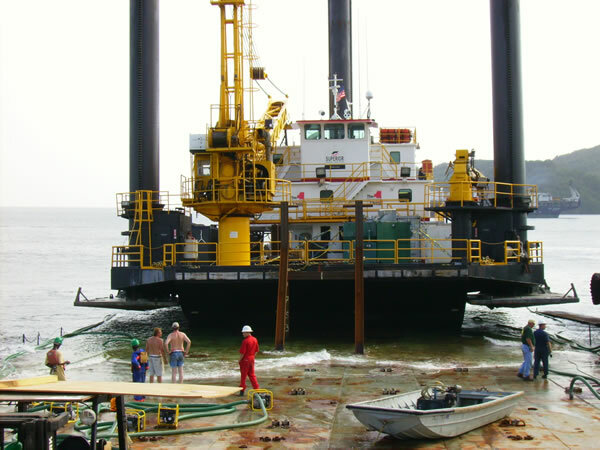 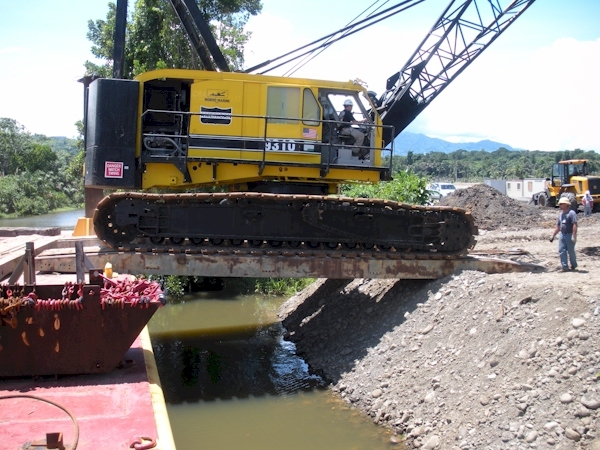 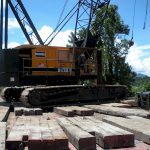 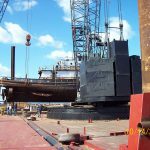 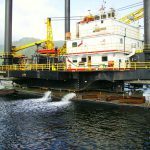 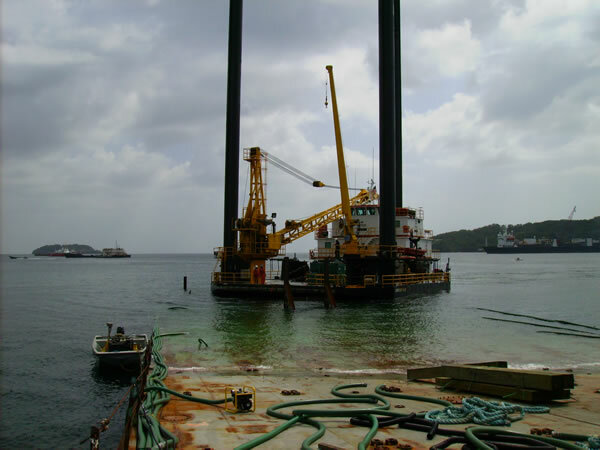 Lifts/Projects | MOBRO Marine, Inc.
MOBRO Marine’s extensive fleet of equipment and highly experienced personnel have allowed MOBRO to take on tasks not feasible for other companies. 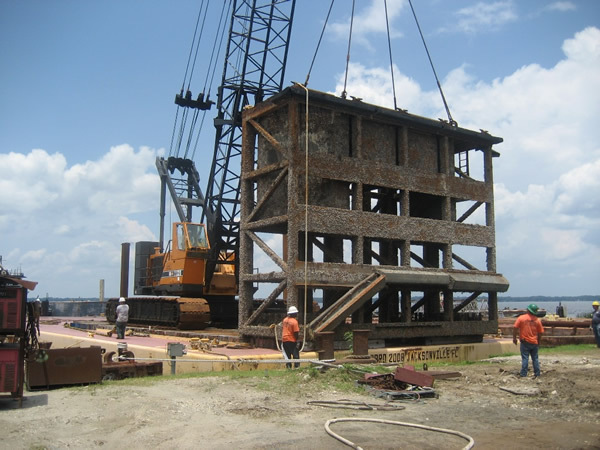 Pictured below are some of our projects and services. 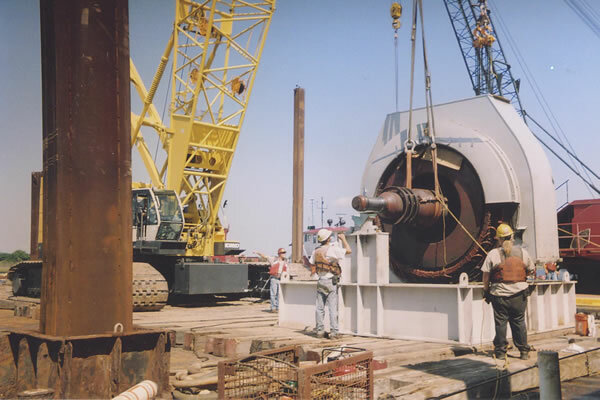 Contact MOBRO to learn how we can help your company take its services to the next level both in the United States and overseas. 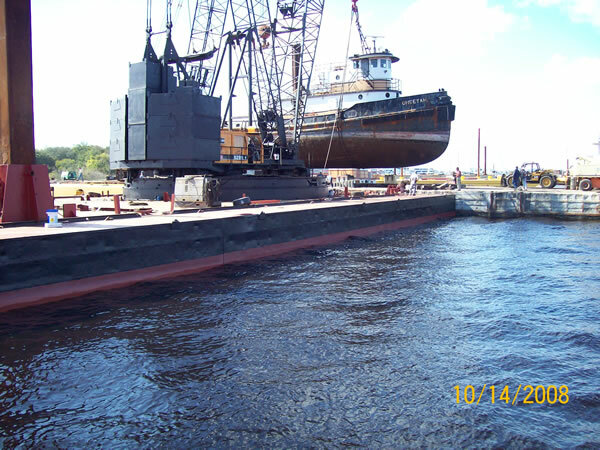 MOBRO lifts 160 ton Tug Cheetah and sets on barge for modifications and new engine installation. 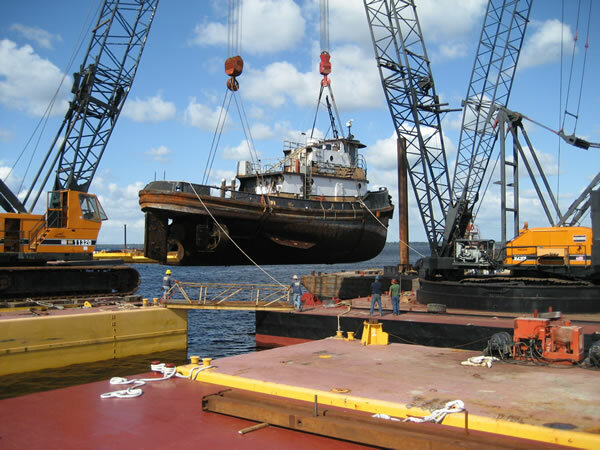 MOBRO lifts 185 ton walking spud carriage into barge for Great Lakes Dredge & Dock Company. 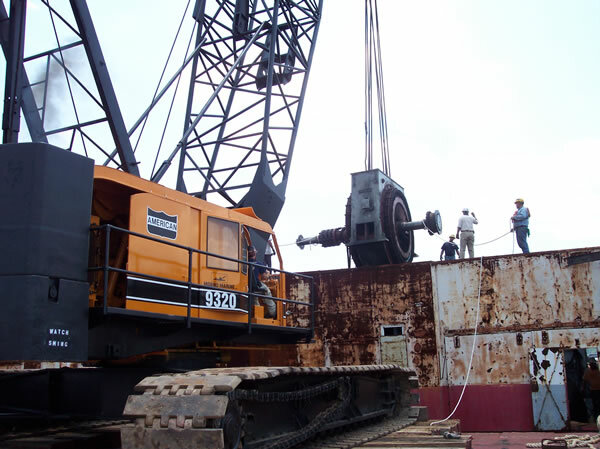 MOBRO lifts 85 ton spud and installs into walking spud carriage on dredge for Great Lakes Dredge & Dock Company. 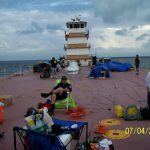 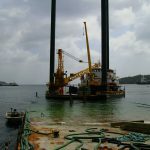 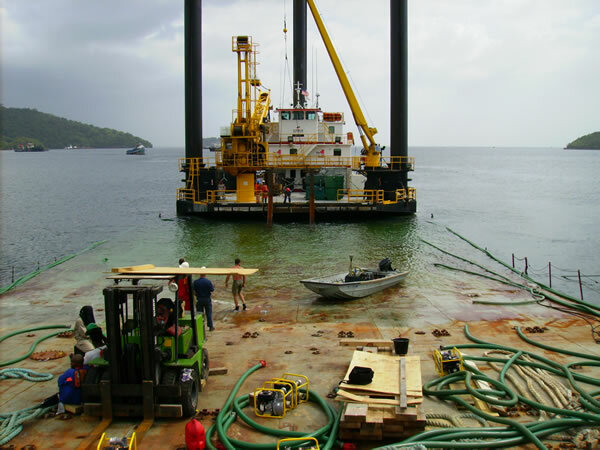 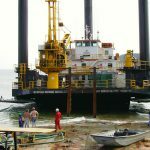 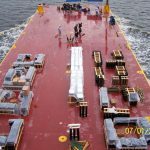 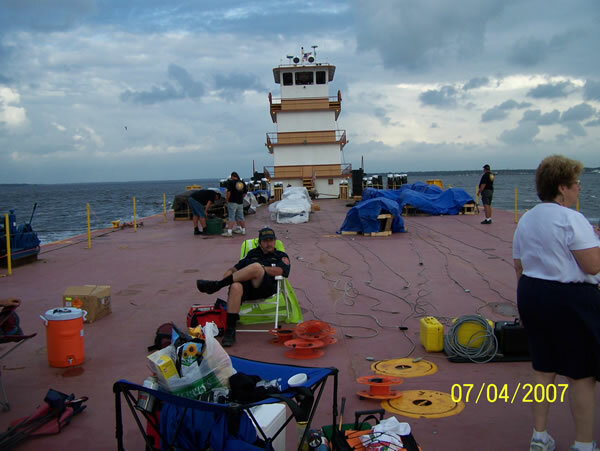 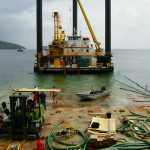 MOBRO provides load out of 3 leg jack up rig for ocean-going transportation. 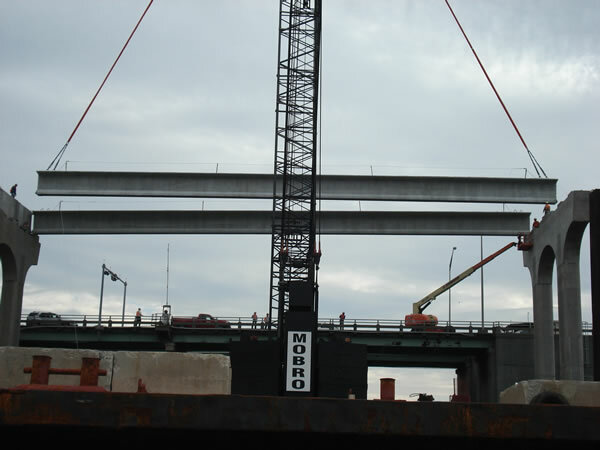 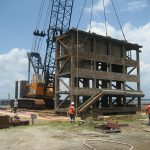 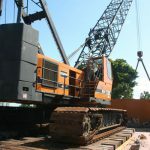 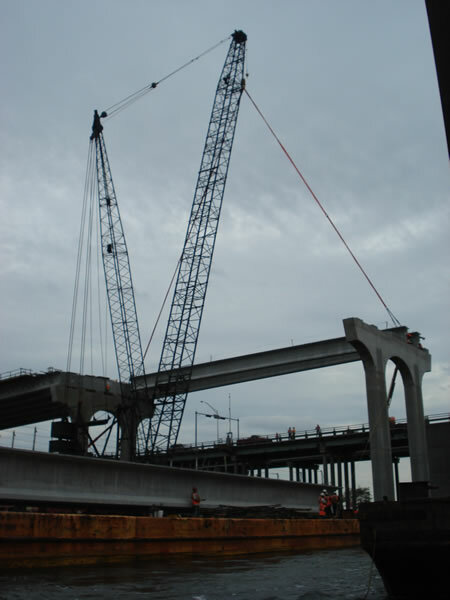 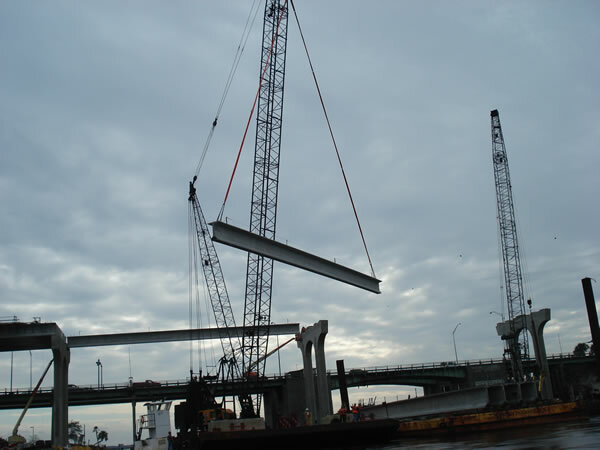 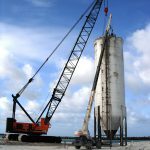 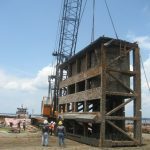 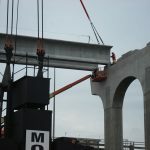 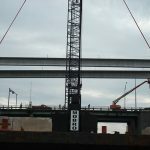 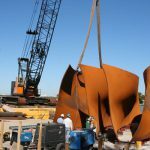 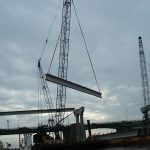 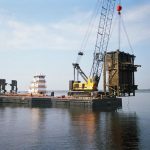 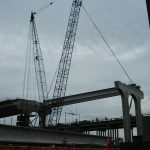 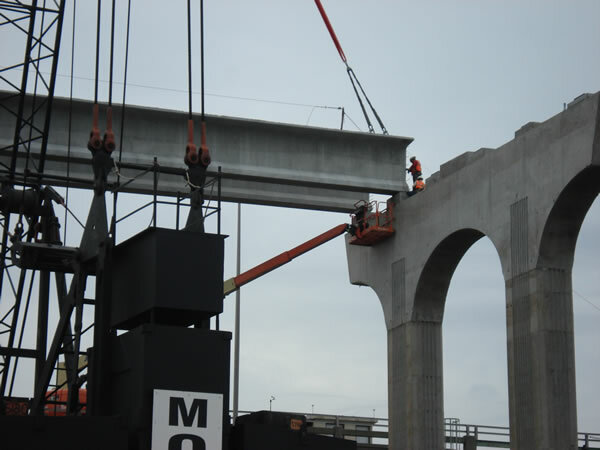 Superior Construction Company uses MOBRO’s American 9310 Ring Horse to lift and set 120 ton Bulb-T concrete girders at Beach Blvd Bridge in Jacksonville, FL. 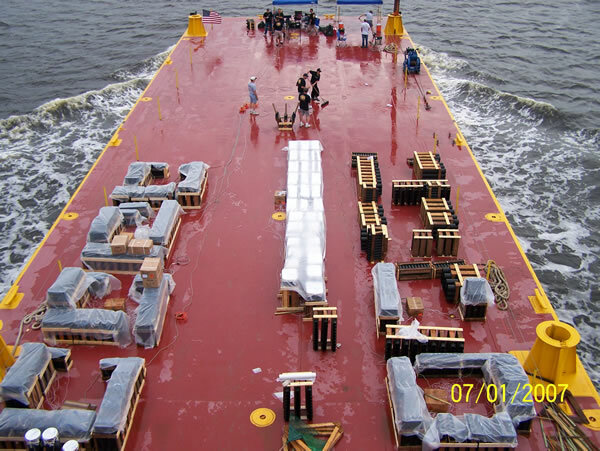 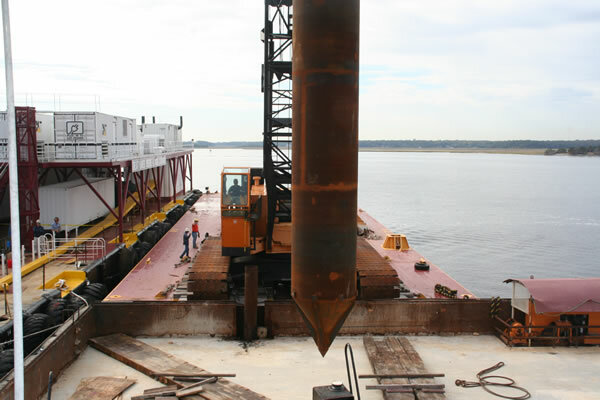 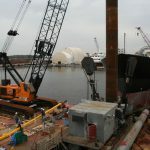 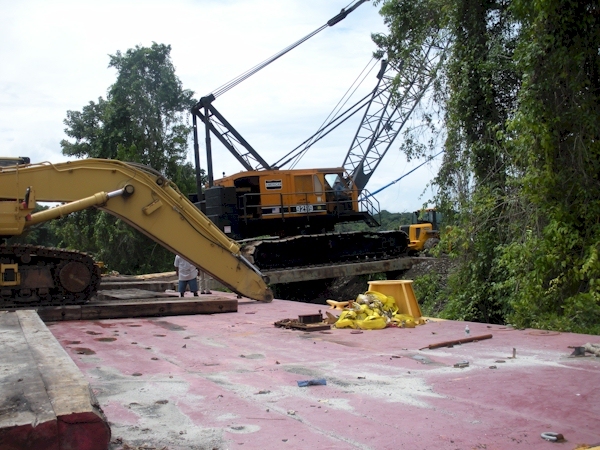 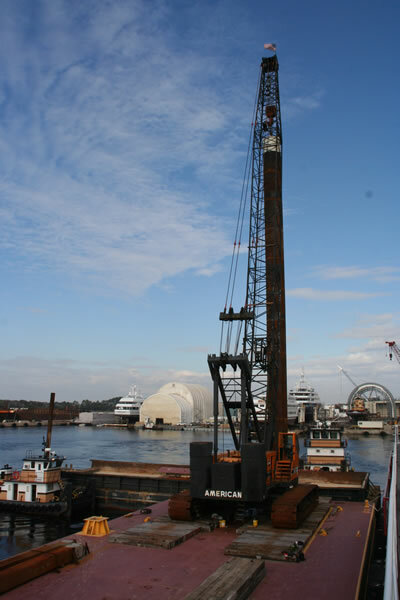 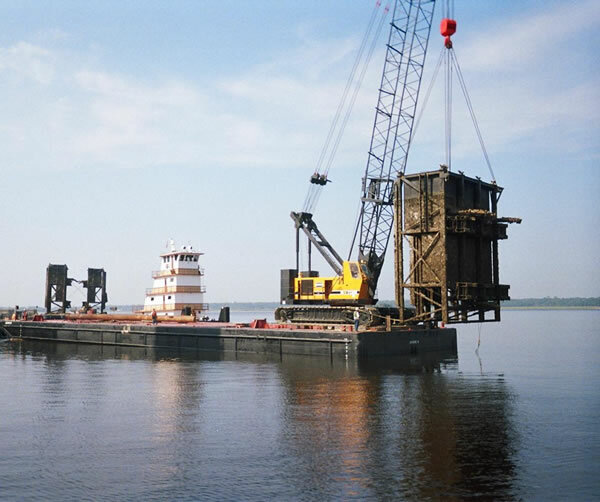 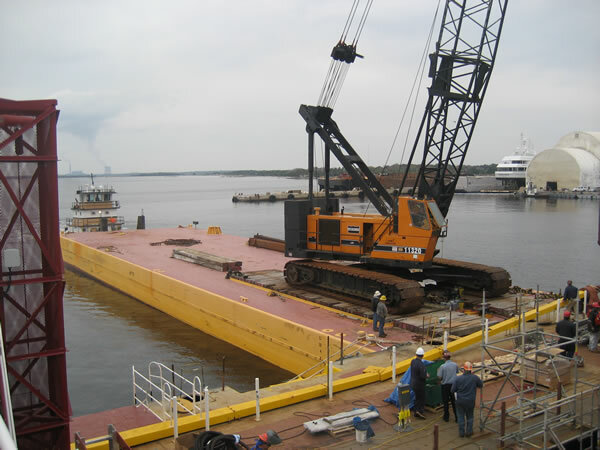 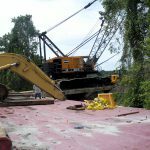 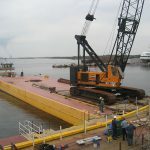 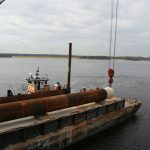 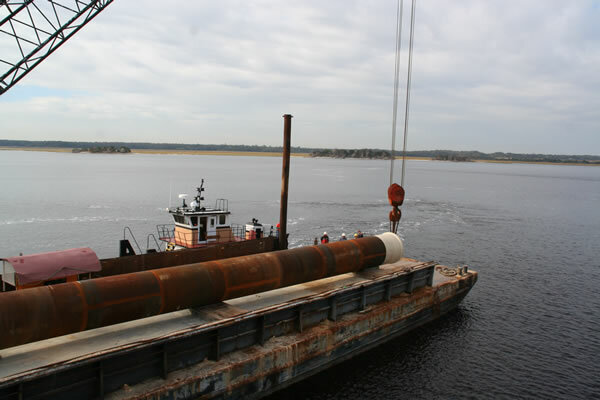 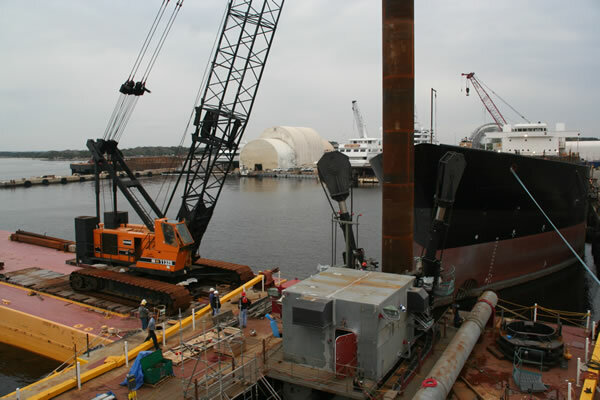 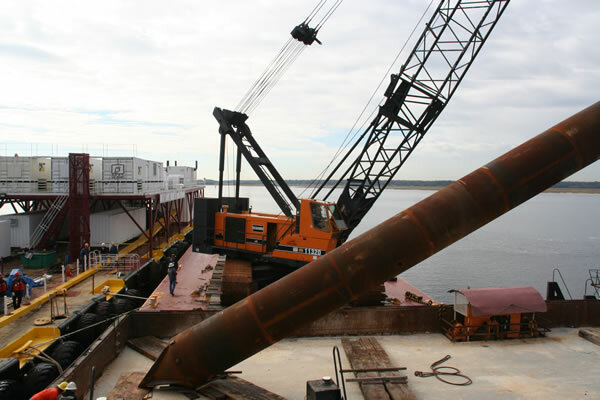 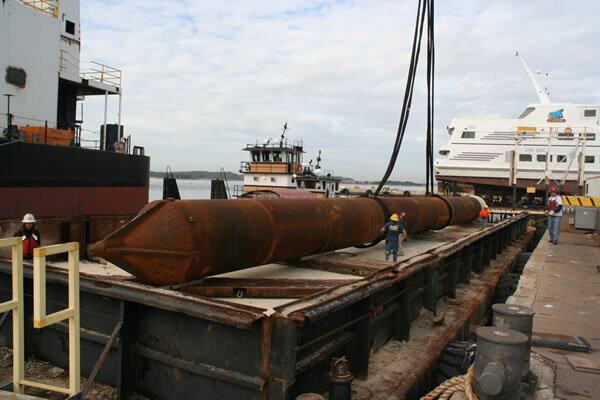 MOBRO’s tug and barge also transported beams from Savannah, GA to the jobsite. 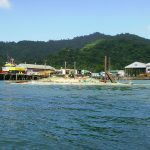 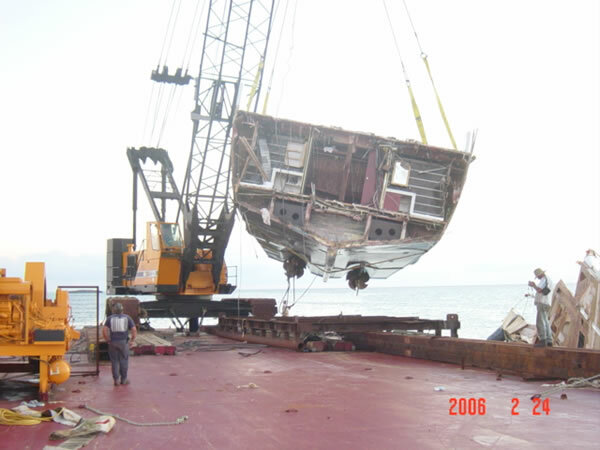 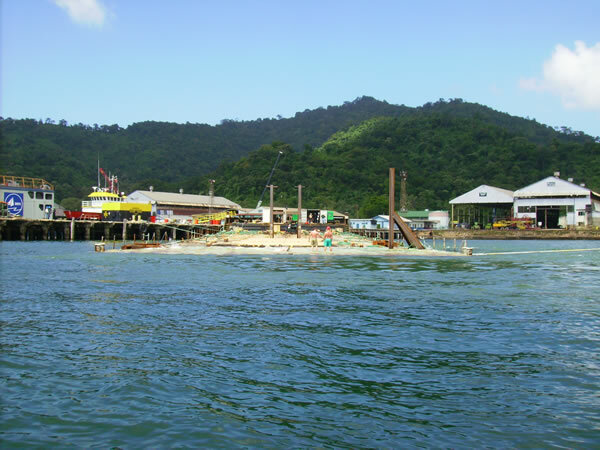 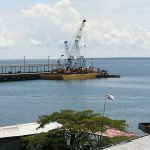 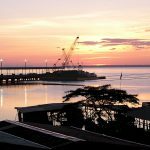 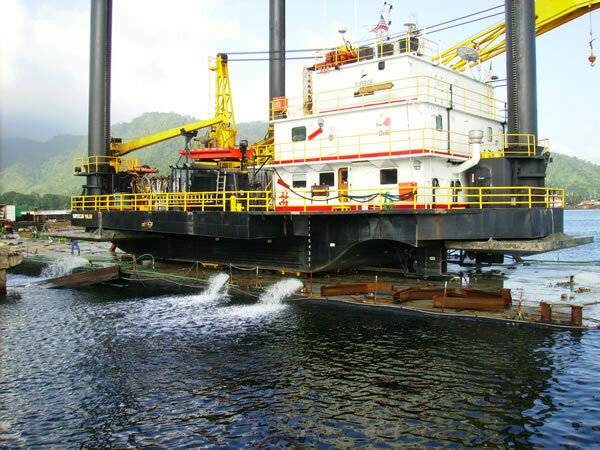 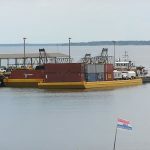 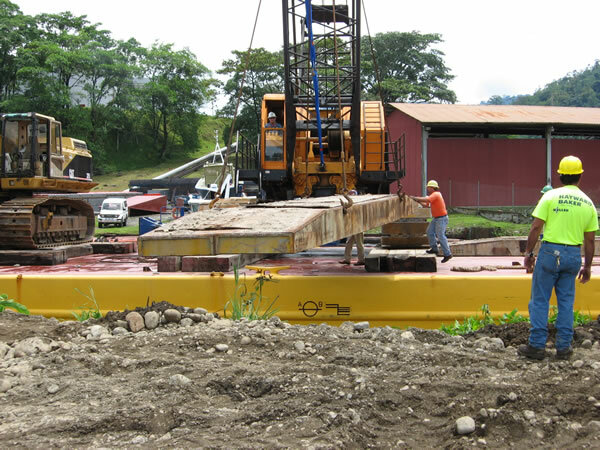 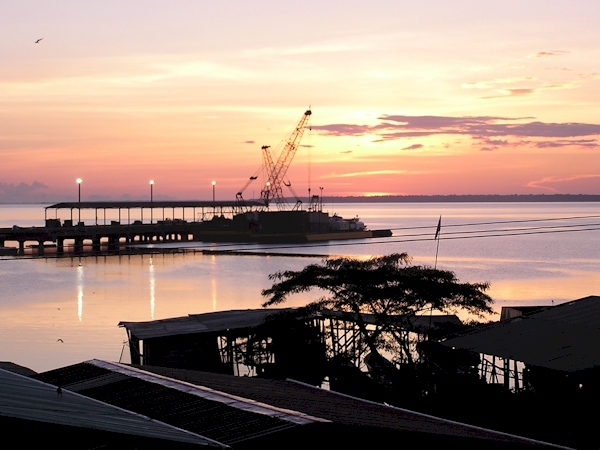 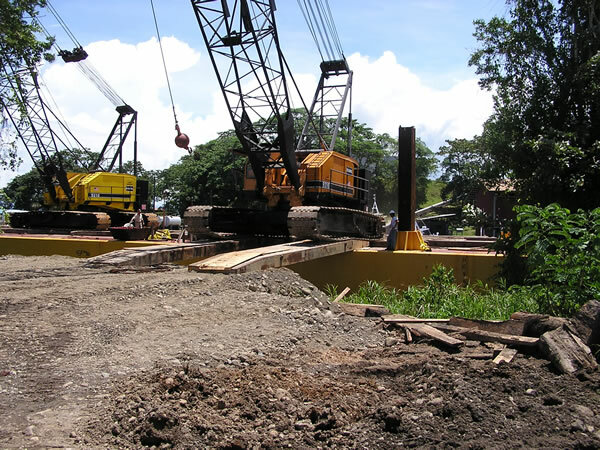 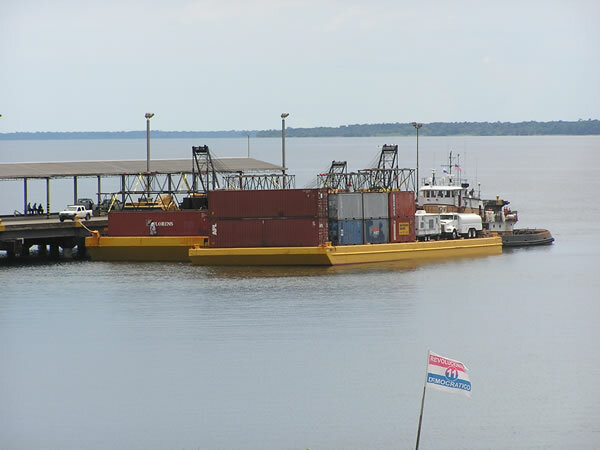 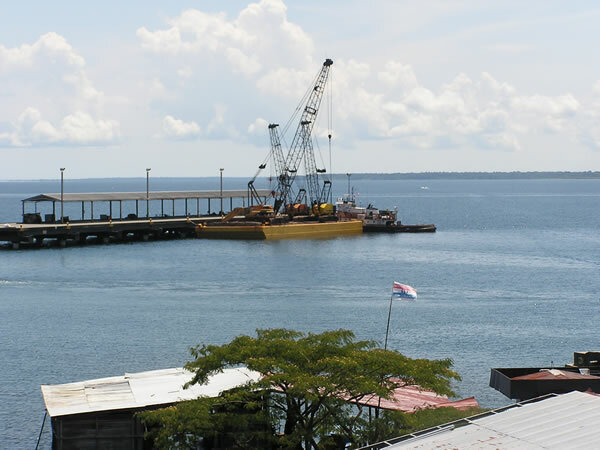 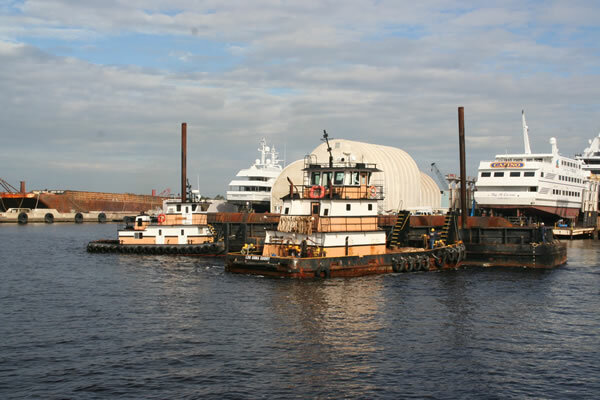 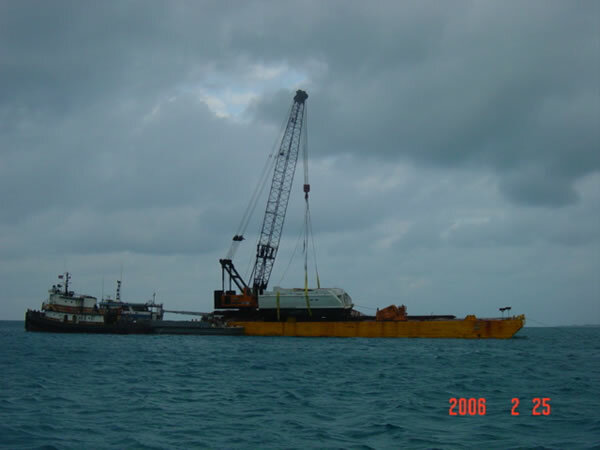 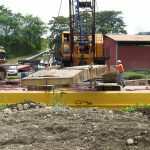 MOBRO provides cranes, barges, workboats and ocean-towing to Chiriqui Grande, Panama for US contractor Hayward Baker. 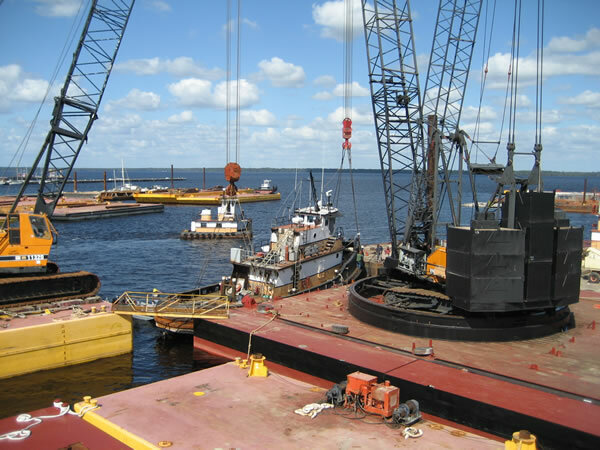 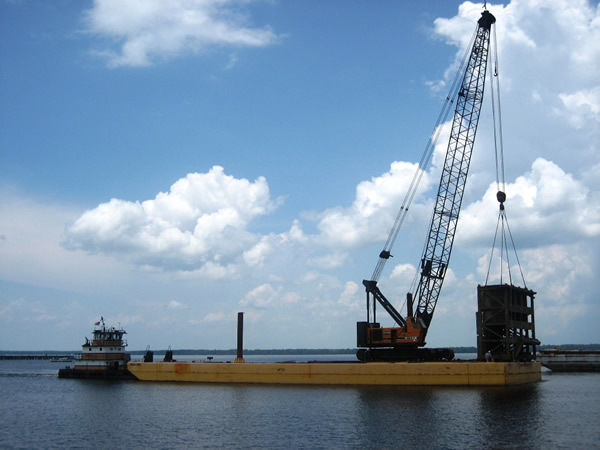 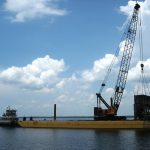 MOBRO barge and crane off load 130 ton Navy Lighterage Power Unit at Atlantic Marine facility in Jacksonville, FL. 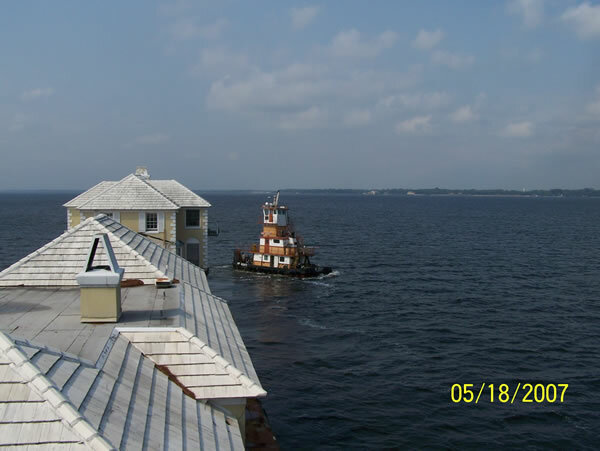 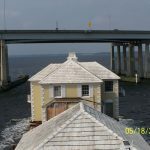 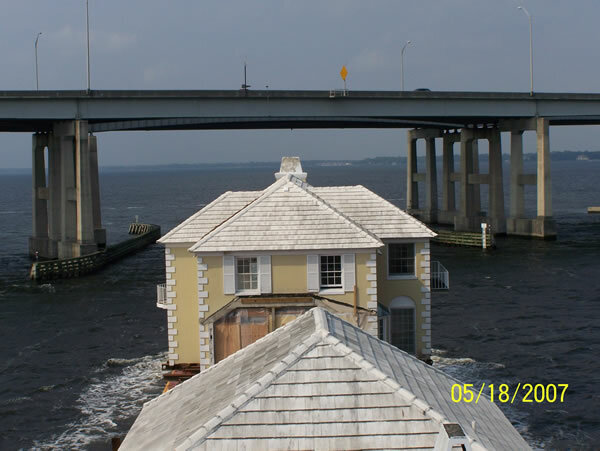 MOBRO provides barges and tugs for house move in FL. 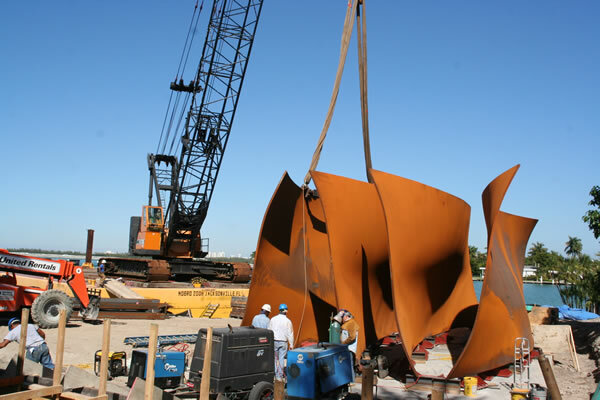 MOBRO lifts and sets Blade Runners for prestige artist at private mansion in Miami Beach, FL. 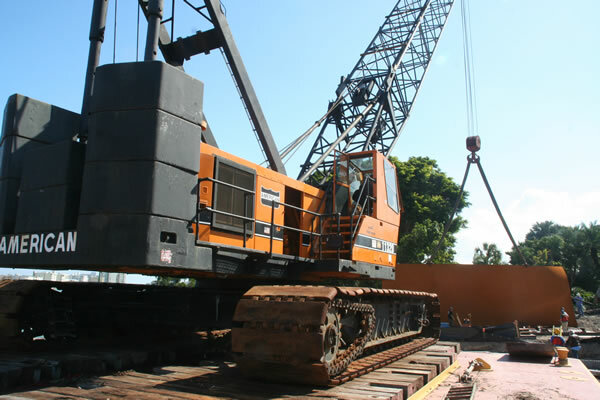 The Blade Runners are 35 tons each and were set 100 feet from the center of rotation. 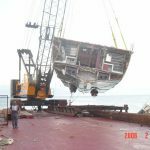 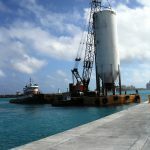 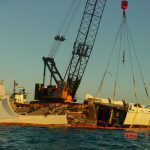 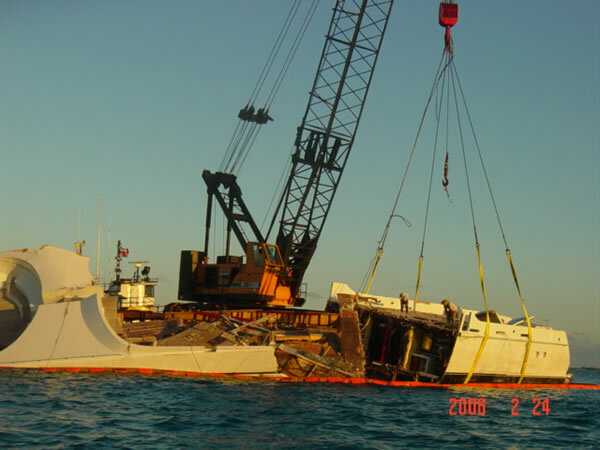 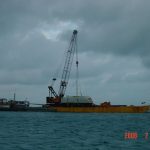 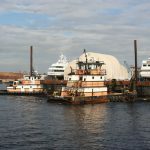 MOBRO makes salvage lifts of multiple yachts in the Bahamas. 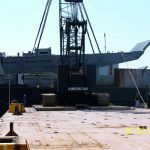 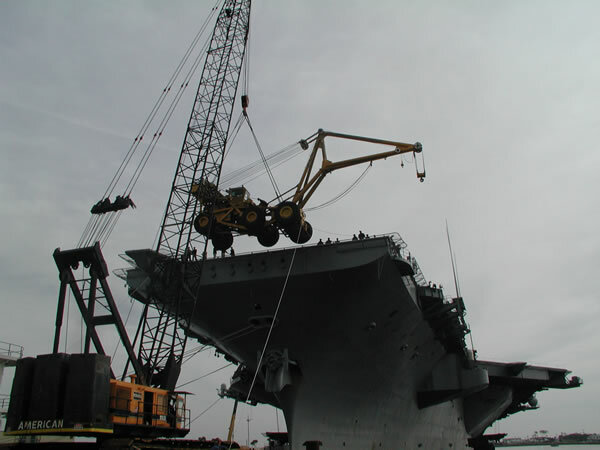 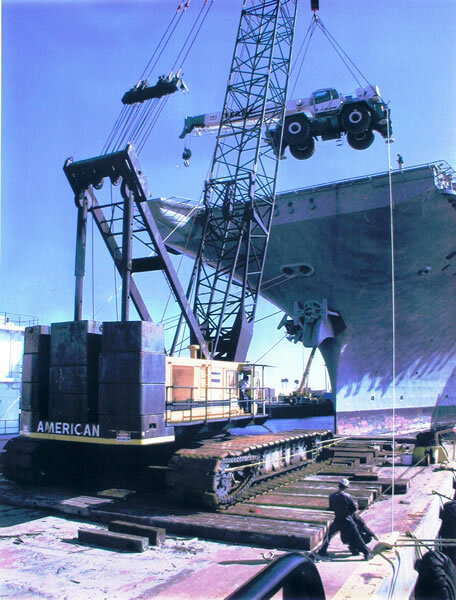 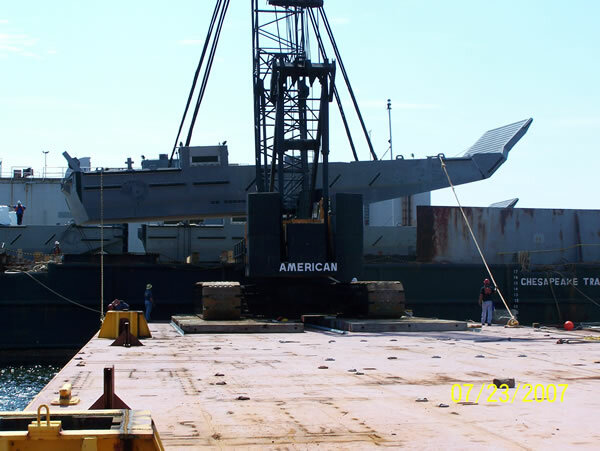 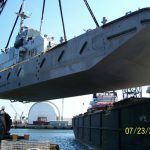 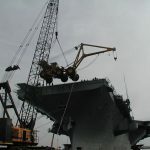 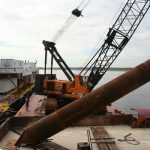 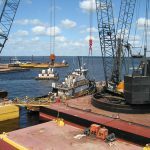 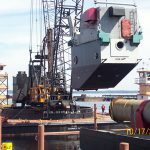 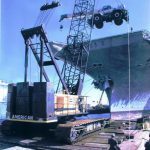 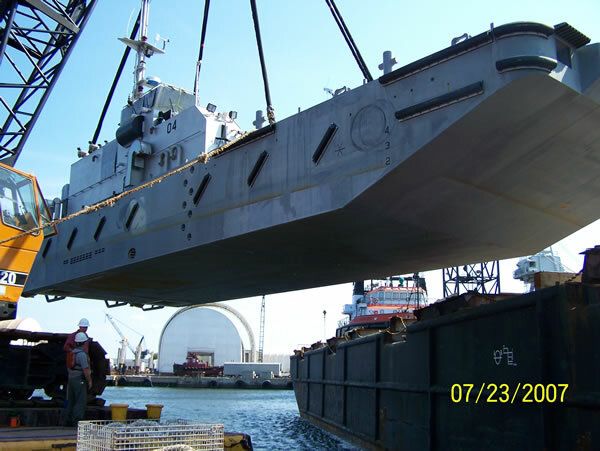 MOBRO tug, crane and barge lift and set on barge multiple 150 ton Trident Submarine Camels at Naval Submarine Base in Kings Bay, GA.
MOBRO lifts and loads RT crane and Navy Crash crane onto JF Kennedy aircraft carrier. 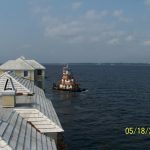 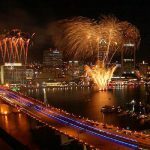 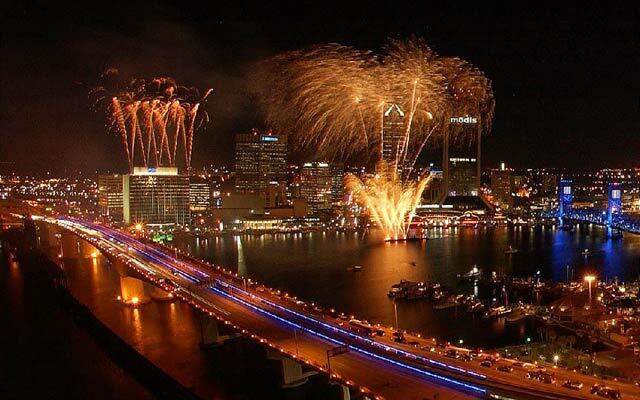 MOBRO provides barges and towing for City of Jacksonville Fireworks show. 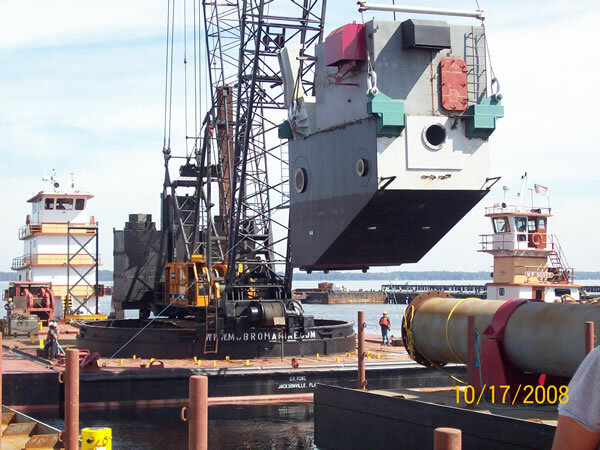 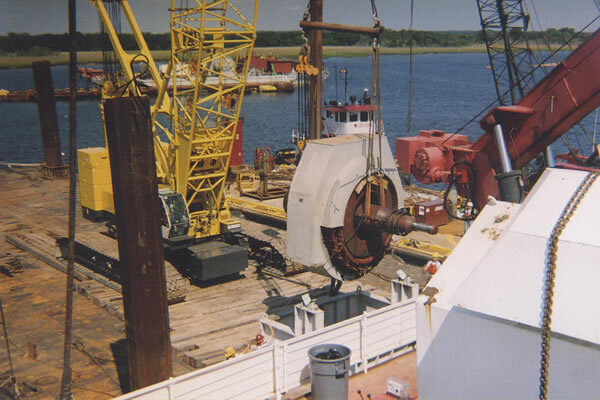 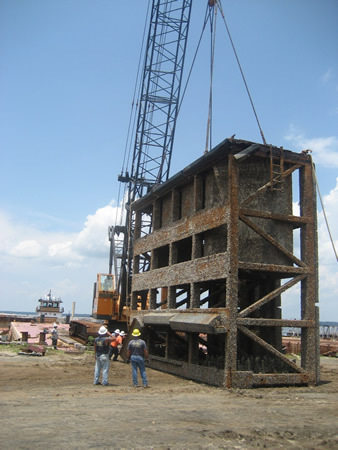 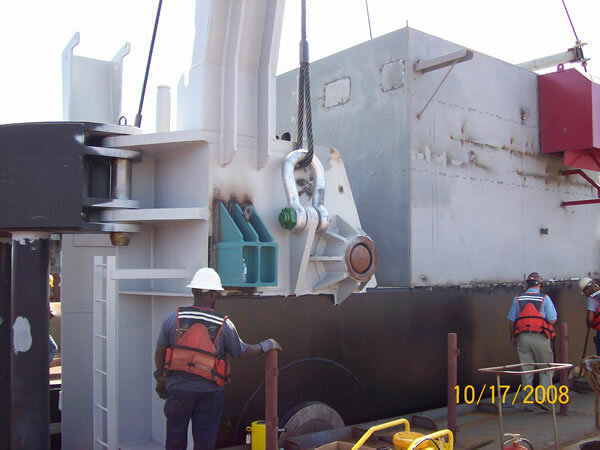 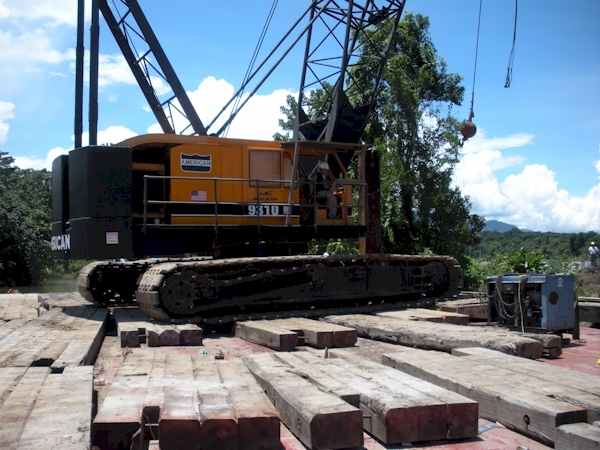 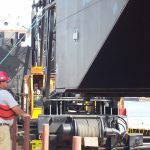 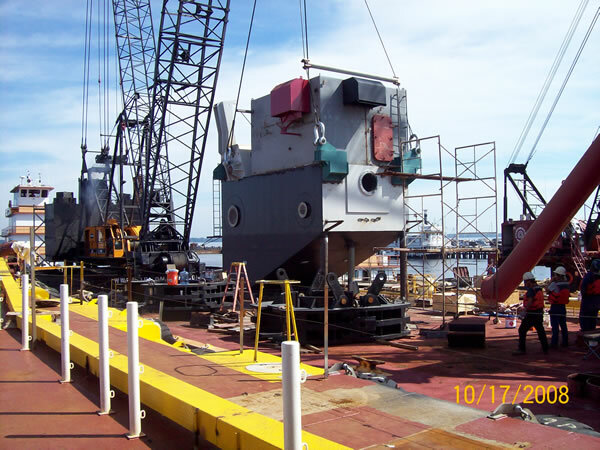 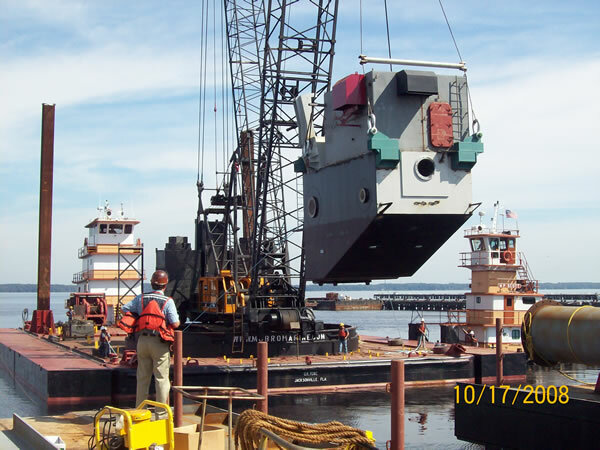 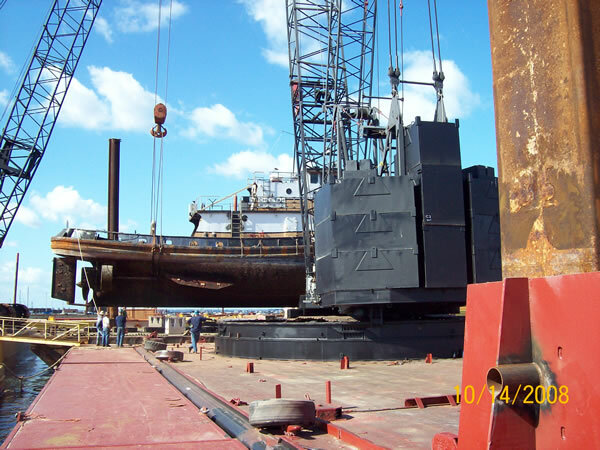 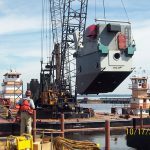 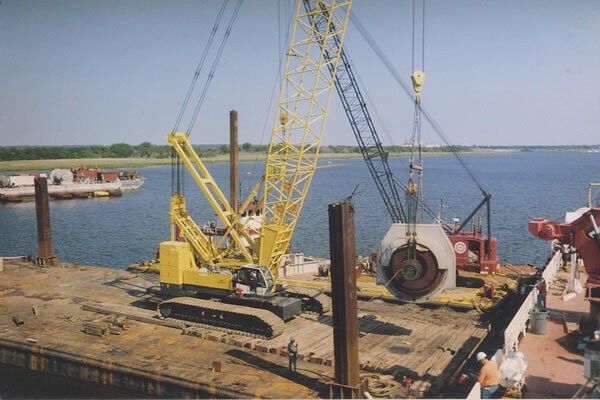 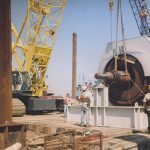 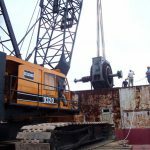 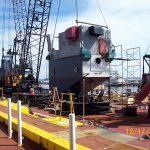 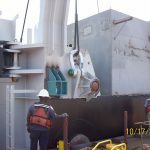 MOBRO lifts out and replaces mulitple gear boxes for Great Lakes Dredge & Dock Company.